The most prestigious award at the SouthShore Chamber of Commerce Membership and Awards Banquet, Queen of Hearts (Person of the Year), went to Rachel Mushow, of Rachel’s Family Salon in Apollo Beach. The event took place at Del Webb Southshore Falls Jan. 26. 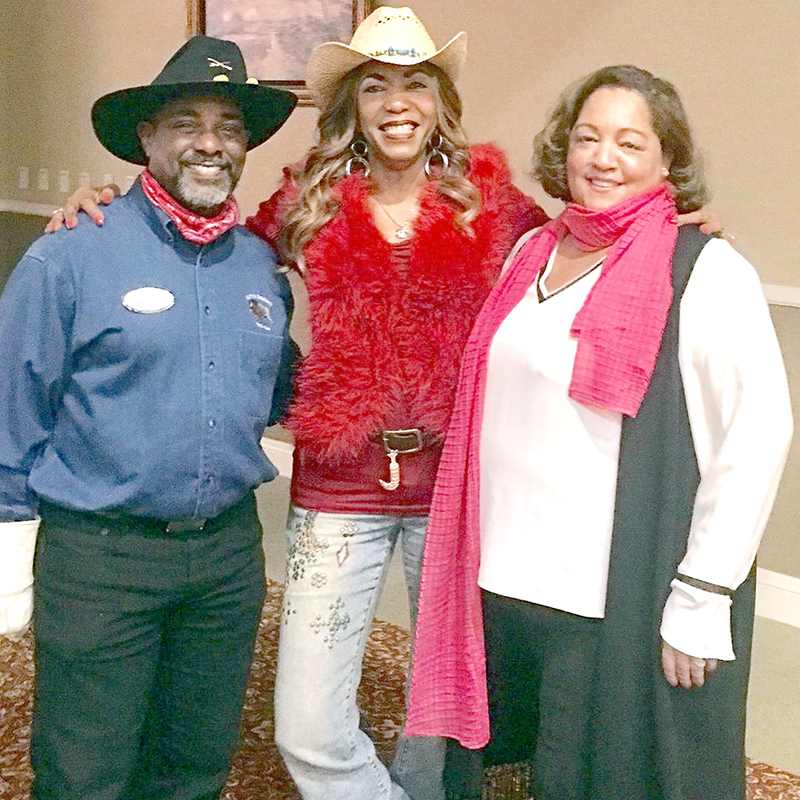 It was a night of country music, barbecue and lots of guests turned out in their best western attire as the SouthShore Chamber of Commerce celebrated its annual awards night Jan. 26. The event, which took place in the banquet room at Del Webb Southshore Falls, attracted 180 people eager to learn who among them were the chamber’s 2018 award winners. 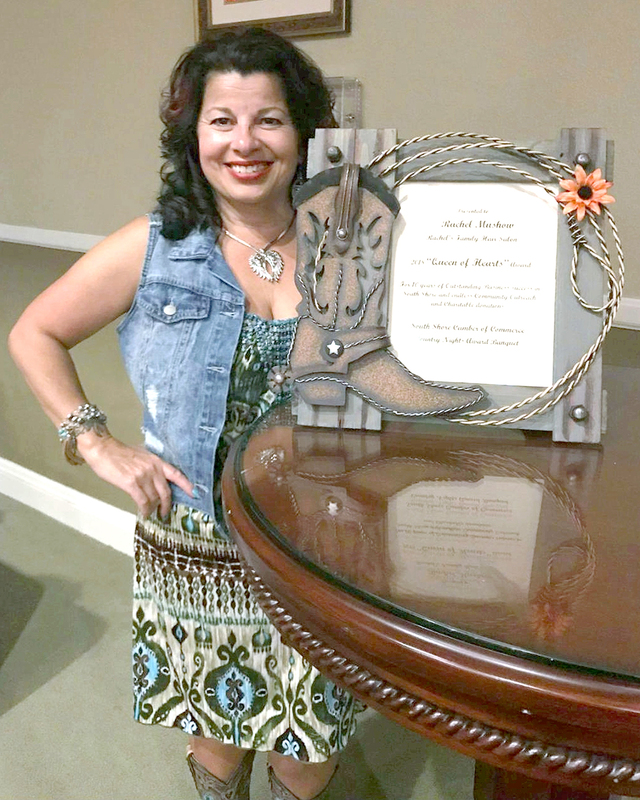 • Queen of Hearts Award (Person of the Year): Rachel Mushow, Rachel’s Family Salon. Mushow was surprised and as equally grateful. The theme of the 2018 SouthShore Chamber membership and awards gala was Country Nights. Closing out the ceremony was the presentation of the 2019 chamber board and the passing of the leadership gavel from Geitner to incoming President Lenny Tran, of LT Design & Concept Group LLC. 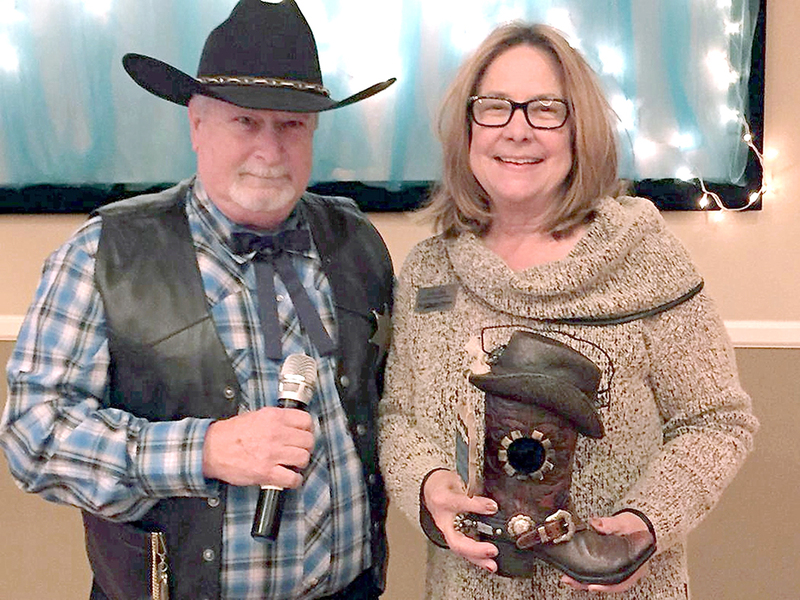 Executive Director Melanie Davis thanked the event’s planning committee, chamber volunteers Phyllis Gannon, Frances Hereford and Yvonne Cordova and especially her right arm, Suzanne Ramella, the chamber’s office manager. John Johnson, of Johnson Country Crossroads, provided the evening’s entertainment. 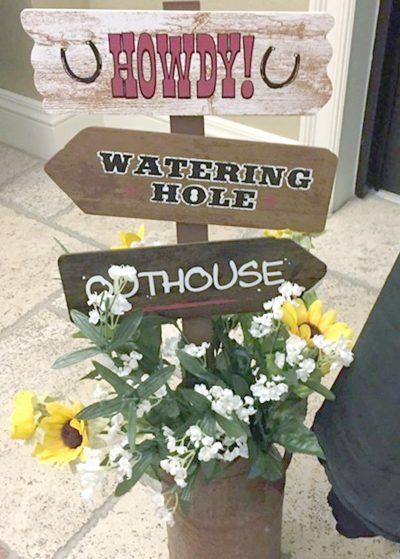 Event sponsors included South Bay Hospital, David Weekley Homes, Mosaic, Tampa Electric Co., CenterState Bank, C.A.R.E., Pearson Capital, Rachel’s Family Salon and Zipperer’s Funeral Home. Oops A Daisy and Harriet’s Flowers supplied flowers for the floral centerpieces. 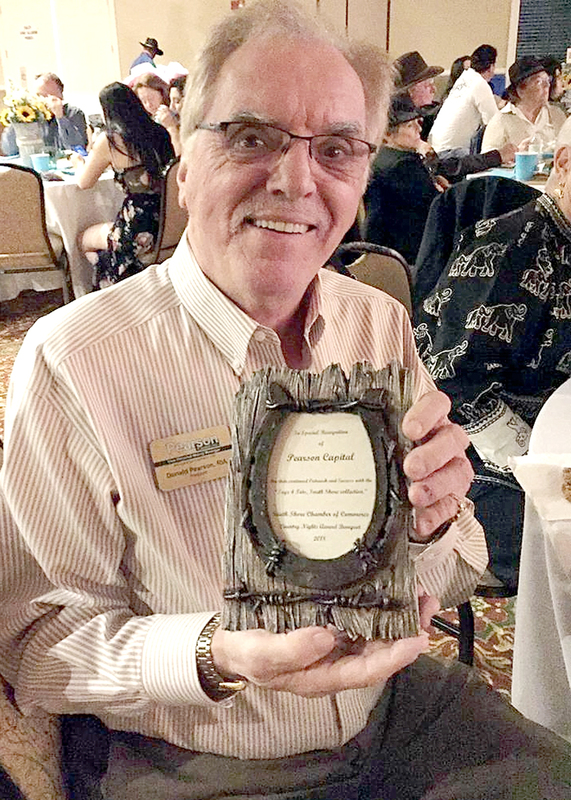 The SouthShore Chamber recognized Don Pearson, of Pearson Capital, with a special recognition award for his longtime and ongoing sponsorship of the annual South Shore Marine Corps Toys for Tots drive. John Smith, of H&R Block, presents the SouthShore Chamber’s Take Me Home (Business of the Year) Award to Cathy Click, of David Weekley Homes. Joey Henderson, of the Florida Home Partnership, HCC SouthShore Campus president Jennifer China, Ph.D. and Liz Gutierrez, of the Enterprising Latinas share a lighthearted moment at the SouthShore Chamber’s Country Nights gala Jan. 26. 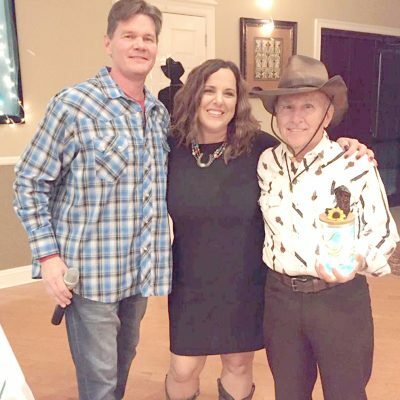 Kevin Elwell, of Kids ’R’ Kids Southshore and Waterset learning academies, Melanie Davis, executive director of the SouthShore Chamber, and Do-Si-Do Award winner Roger Eckhart gather for a photo at the Country Nights chamber celebration. Missing from the photo is Eckhart’s wife Kathy. 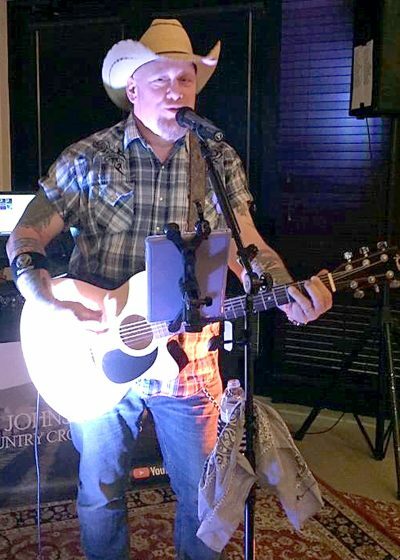 Singer John Johnson, of Johnson Country Crossroads, performed old and new country favorites at the recent SouthShore Chamber of Commerce Membership and Awards Banquet. 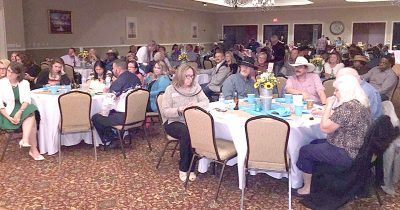 An audience of 180 members and guests turned out for the SouthShore Chamber’s annual Membership and Awards Banquet Jan. 26.